I was making a couple of quilt labels this morning and actually thought to take some pictures for a tutorial. Usually when I'm making something that would be good for a tutorial, I think of that after I've already finished, so I'm quite proud of myself for thinking of it when I did today. 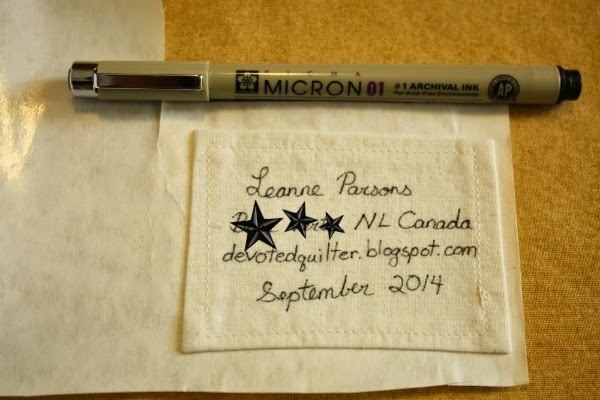 There are many different ways to make quilt labels, but this is how I do it. 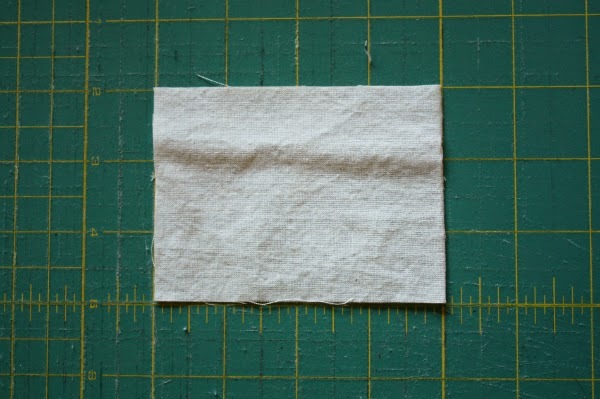 I cut my fabric 4" x 3". 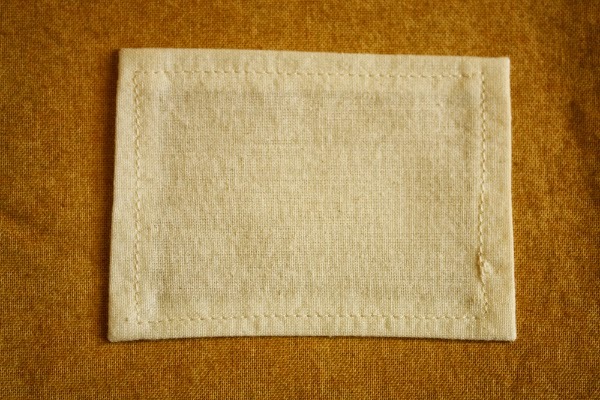 I usually use muslin because I often have small scraps of it lying around, but you can use any light coloured fabric you have on hand. 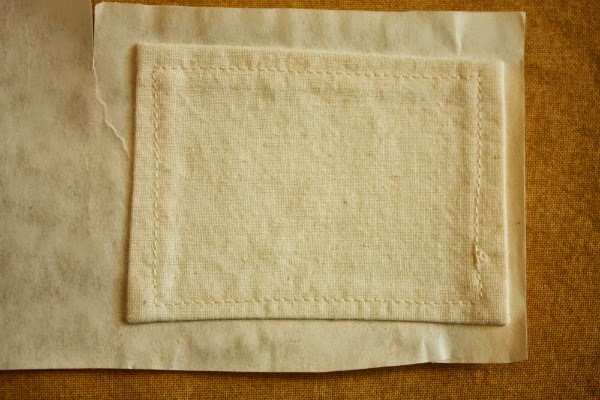 Muslin doesn't have a right or wrong side, but if your fabric does you'll want to do these next couple of steps with the wrong side facing up. Press the corners in towards the middle. 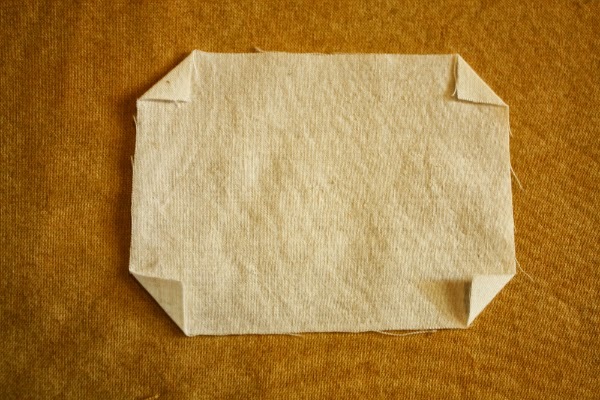 Then fold each side in about 1/4" and press. This should give you nice, neat corners. 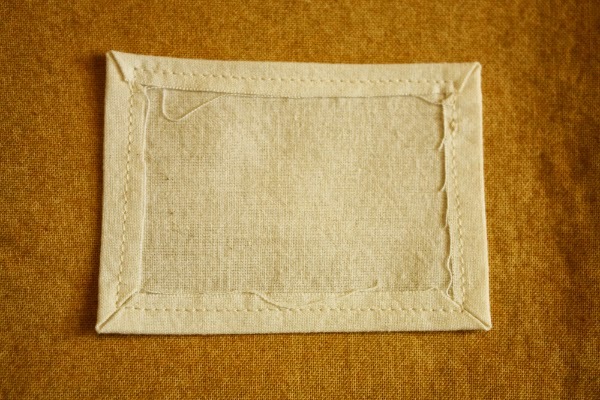 Stitch with a matching thread. I sew this with the folds facing up so I can be sure they don't get bent out of shape under the needle. This is how it looks from the back of the label. And this is from the front of the label. 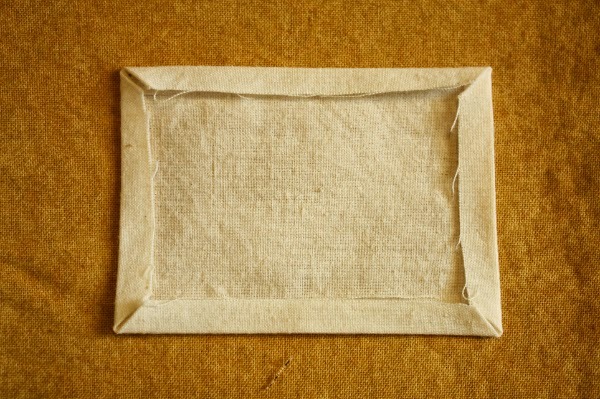 I iron the back of the label onto the shiny side of a piece of freezer paper. This makes it much easier to write on the fabric. Freezer paper is reusable, so I keep this piece and just iron labels to it as needed. I write on my labels with a Pigma Micron pen. It's the best I've found for not washing out when I wash my quilts. Include your name, your location, the date and any other information you want. 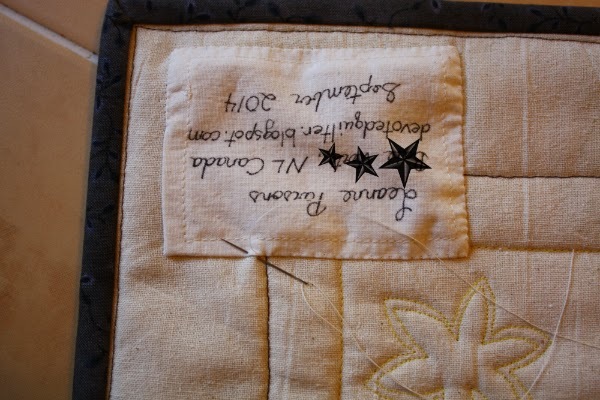 If I'm giving a quilt as a gift I always add the recipient's name and the reason for the quilt (ie. to celebrate a birth or a wedding, or whatever). Pin the label to the back of the quilt. I love these tiny pins because I'm always hooking my thread on longer pins. Plus there's less chance of me stabbing myself with these ones. Not saying it doesn't happen, but at least it doesn't happen as often. Again using a matching thread, hand stitch the label to the quilt back. Be careful not to stitch all the way through to the front of the quilt! 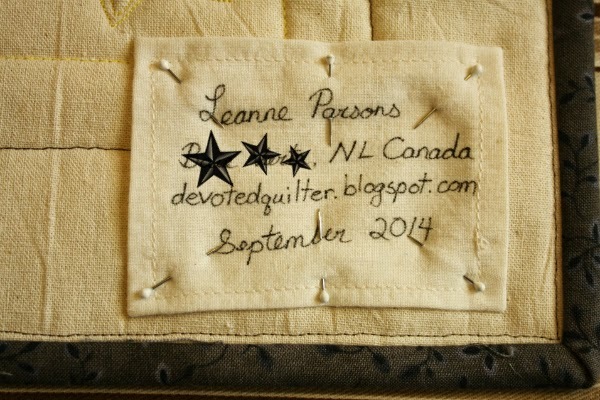 I love that these labels are quick to make and attach, and that no quilting stitches go through the writing. This is usually the last step for my quilts, so if you're like me, at this point all that's left to be done is admire your handiwork! This way looks much less bulky than the way I do it. I sew 2 pieces together, cut a hole, turn inside out. I think I will try your way. One question, why do you sew the folds over? Do they come out when you are hand sewing to the quilt? I tried that method once too, but really didn’t like hand stitching through all those layers! I sew the folds because I find my edges stay nice and crisp looking that way. If I don’t sew them down then the edge shifts a little as I’m sewing around it and the label ends up looking less neat. I really like the way this looks. I will have to try it your way when I add a label after it is bound. Thanks for sharing. Just found you from Jasmine's blog...and oh wow...I love this little place of yours...so full of good ideas! This is a great one! Just found your blog from Instagram. You write very beautifully. Thanks for sharing with the tutorials too!